Conversation often starts with a puzzled look on hearing the word “User Research”. In a market spoiled for choices, yet another company is offering a service which no one understands. Yes, we conduct “User Research”, thereby helping companies get insights into their users and products. And provides information to strategize product’s direction and validates design to create user-friendly products which deliver great user experiences. 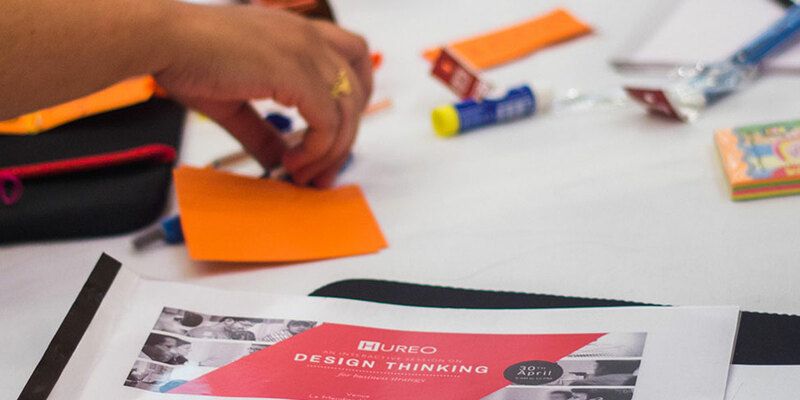 Our goal at HUREO is to enable companies create usable products which deliver good user experience. With this intention, we started conducting workshops to enable participants understand their customers and learn how to involve them as part of building their products. Last month, we conducted a workshop focusing on startups to enable them to start involving user feedback from the beginning of their cycle. In the workshop, we discussed i) The importance of users’ role in building up the product in the right direction ii) How to listen and observe your users? iii) Hands on experience and methods to equip them to conduct such practices. There is no secret to cost saving behavior of startups – build fast and fail fast. With this philosophy, focus is primarily on building the product. In distant future, after getting investment they plan to spend on design, which to most of them is “make it look good, jazzy!” Most lack the understanding that a good engineered product without right interactions is worse than a poorly engineered product. Such limiting views extends to understand user research which starts at the inception phase of a product and often mistakenly considered synonymous to Market Research. Why did we choose Startups? The cost of failure is higher with deep pockets, limited resources, and fast paced environment. They have all the reasons to build things right from the beginning in an iterative fashion and listen to their users carefully. With these intentions, we designed this workshop for Startups. What is the difference between User Research and Market Research? Market research is primarily about understanding what people will buy. It uses both qualitative and quantitative methods, but the ultimate goal is to understand what people want to purchase. Inputs from market research could be used to identify a certain segment of the population as the target for a new product, or for determining the availability of the new market. UX research is exactly the opposite. User experience research is valuable in providing direction about how a solution should be designed. It’s less about pricing and more about design( words other than design). What aspects of a solution will meet the needs that we identify during our user experience research? What feelings are users having about the product we are interested in? It’s not so much about buying as it is about using a product or service. Why and when User Research is needed? User Research provides insights about users, their contexts and provides direction to evolve design. Involving User insights and validation should be an innate part of any product cycle which means at different phases User research should be conducted. Participants came from different roles including founders, engineers, designers and explorers. We started by providing them basics of Usability and what makes a product usable. Later gave them hands-on experience to solve a problem by identify user needs and validating their ideas. We got positive responses from participants. They found it “interactive” and” engaging”, which was filled with interesting exercises. Very good. I mean to say best – this is what we really want. It was enriching in terms of trying to get into clients shoes and figure out their needs. We will be conducting various workshops for company Founders, Stakeholders, Designers and Engineers to enable them in including User as the centered part of their process.